Creative Women Workshops Association is a British Columbia-based organization that has since 1997 run a well-regarded program known as The Women In the Director's Chair Workshop (WIDC). 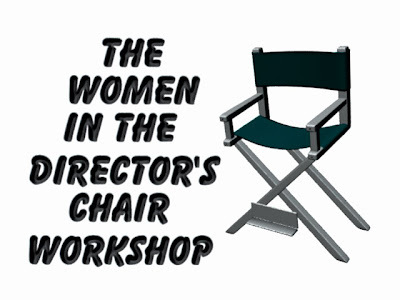 Presented in partnership with Telefilm, the Banff Centre and the Alliance of Canadian Cinema Television and Radio Artists (ACTRA), WIDC is a professional development program for Canadian women directors. Their next program deadline is August 31, 2010. Past participants include Karen Lam (Stained), Stephanie Morgenstern (TV's Flashpoint), Zarqa Nawaz (TV's Little Mosque on the Prairie), Alison Reid (The Baby Formula) and Sherry White (Crackie). Actra Fraternal Benefit Society provides bursaries for ACTRA members that qualify under their criteria. Contact Actra Fraternal for application information. (416-967-6600 or 1-800-387-8897). Deadline may be prior to WIDC timelines. British Columbia Film offers up to $2,000 each for two director participants residing in British Columbia. Contact Lodi Butler, Director Development Initiatives and Partnerships after adjudications are complete. The National Film Board of Canada offers bursaries from their regional offices pending available funding in diversity or other development envelopes. Contact your regional office for more information. The QUEBECOR Fund has committed up to $14,000 in scholarships towards visible minorities to attend WIDC. No application is required. Scholarships will be awarded once adjudications are complete. The grant is made possible through the Quebecor/Sun Media benefits related to SUN TV, for Toronto and Ontario-based producers from under-represented groups. "We are very proud that the Quebecor Fund’s Professional Development Program can partner with innovative industry organizations across Canada, to advance the careers of local television professionals and contribute to a diversity of views, innovation and high quality content," said Kin-Man Lee, Executive Vice-President of Sun Media Corporation, a Quebecor company directly involved in print, broadcast and Internet communications. " Panacea Entertainment and WIFT-A offer a $1,000 scholarship each year to a director participant who resides in Alberta. No application is required. This scholarship is automatically awarded after adjudications are complete. Women In Film and Video Vancouver offers a $1,000 scholarship to a WIFV-V member who is selected to attend WIDC as a director participant. Members should send an email to WIFV-V Manager Yvette Dudley-Neuman to indicate their interest in applying for the scholarship. This scholarship is awarded by WIFV-V after WIDC adjudications are complete.